America's Favorite Tasting Room - Adelaida was named in the top five! In July, Adelaida Vineyards & Winery was nominated by a team of wine experts as one of the top 20 tasting rooms in America by USA Today. From there, they put the outcome in the hands of their readers and the wineries fans to decide which tasting room would be crowned the winner. After three weeks of voting, the results are in and Adelaida was named number four. We are honored to have been nominated and voted into the top five tasting rooms. As one of first ten wineries in Paso Robles and the premiere winery of the Adelaida District, Adelaida’s roots run deep. We believe that history has always been a key to our success. But we have always looked toward the future and the addition of a new tasting room is one example. We thank all the fans and readers who voted and all of our guests who have supported us over the years. Our Estate Rosé 2016 has just been released! This wine is sourced from our hillside estate vineyards and is a crisp and refreshing blend of Grenache, Cinsaut, Counoise, Syrah, and Mourvédre. Expressing a mouth-watering, tangy liveliness, its moderate alcohol (12.8%) makes it an ideal match for a wide variety of dishes or pure pleasure on its own. 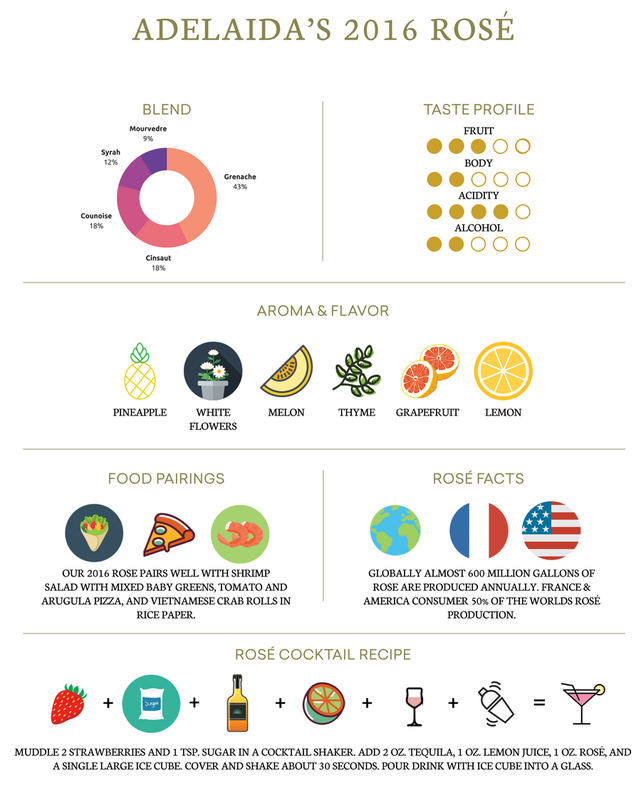 Want to learn more about Rosé? We are breaking it down with this simple infographic! Each spring in fall, we release a new shipment for our Custom Club 2320 wine club members. 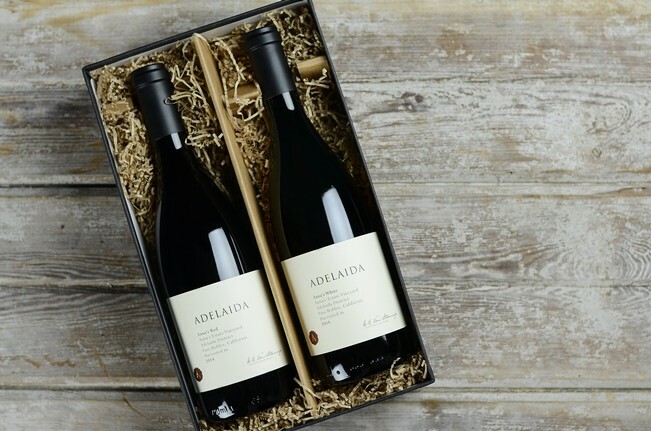 Each shipment includes a variety of wines that showcases the seven distinct properties that make up the Adelaida Estate. The wine club then receives the opportunity to customize their shipment from among the set of 12 chosen wines listed below. Flavors: Honeydew melon, lemon custard, ginger cookie, quince. At its best now through 2019. Aromas: Plum and blackberry conserves, roasting meat juices, wild thyme, wet earth. Blend: Mourvèdre 39%, Syrah 33%, Grenache 26%, Petite Sirah 2%. Notes: Drink now through 2020. “The Doctor’s” can be enjoyed now through 2018. Flavors: Rich on the palate, bright acidity with a hint of lingering oak, rosemary and baking spice coat the palate. Notes: Drink now through 2021. Grapevines require a certain amount of heat to make grapes and a certain amount of sunlight to make sugar, and an excess of either degrades the potential quality. 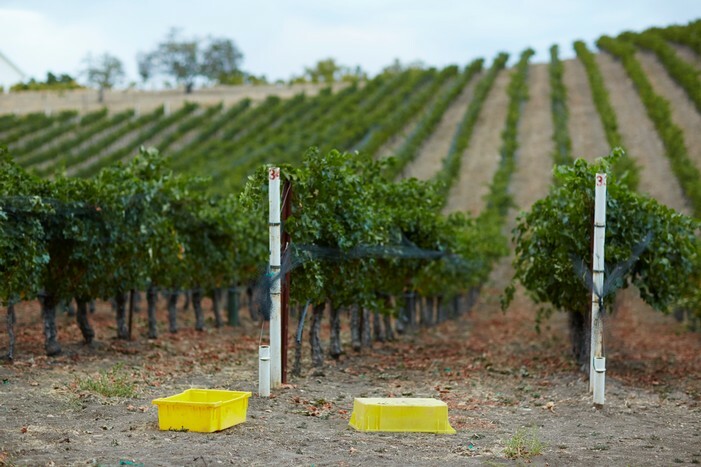 From 2012 through 2016, California experienced a number of climatic events—most notably consecutive years of drought and warming temperatures--that have prompted us to reconsider how we farm for high quality wine. One solution that we’ve come up with is the use of shadecloth to lower the temperature around the grape clusters and to decrease the potential for sunburn. We began experimenting with black and green shadecloth in 2013 and since then we’ve covered over 90% of our vines. So far, the results are very promising. We’ve been able to harvest grapes later than we’d expected given the increasingly early budbreak with greater color, less sugar (lower potential alcohol) and far less desiccation. This year, with the cooperation of Cal Poly San Luis Obispo, we’re going to experiment with a white shadecloth to see if color makes a difference—how white or black shadecloth influences wine grape composition. Stay tuned. We are happy to announce that your 2017 Spring Signature Series wine club shipment will ship on Monday, March 13, 2017. The three bottle selection will include the following: (1) Cabernet Sauvignon Signature, Viking Estate Vineyard 2014 (1) Syrah Signature, Anna's Estate Vineyard 2014; (1) Anna's Red Signature, Anna's Estate Vineyard 2014; (1) Cabernet Franc Signature, Viking Vineyard 2014; (1) Version Red Reserve, Anna's Estate Vineyard 2013; and (1) Cabernet Sauvignon Reserve, Viking Vineyard 2011. The wine shows a saturated fruitiness and plump texture with a sense of crystallized blackberries and melted licorice leading to a long finish accenting the mocha-like richness of fine cigar tobacco wrapper and graphite tinged soft tannins. A pedigreed wine of breeding it demonstrates the potential of the vineyard in the hands of master winemaker. Drink now through 2029. Syrah 95%, Viognier 5%. Harvested at night, the fruit was hand sorted, de-stemmed, and co-fermented with 5% Viognier. Following a period of maceration on the skins, the “free run” wine was moved to a combination of new and neutral French oak barrels for 18 months. Deeply colored and densely fruited this masculine wine exhales textbook aromatics of blueberries, smoke and bacon which are reconfirmed in the fleshy, savory flavors of blackberries, salami, leather, and black pepper. Mourvèdre 39%, Syrah 33%, Grenache 26%, Petite Sirah 2%. Inspired by the top cuvees of Châteauneuf-du-Pape, this reverse engineered GSM blend showcases the synergies of these varieties. Anna’s Estate Vineyard features mountain elevation and steep south facing exposures, all the better to maximize vine stress, thick skins and flavor intensity. The wine delivers the savory flavors of a game infused blackberry reduction with hints of Herbs-de-Provence and campfire smoke. Drink now through 2020. Violet and Iris flower aromatics make for a 1st impression followed by deeply penetrating flavors of blueberries, black currants, toast, cedar wood, Christmas spices, and graphite minerality. Light on its feet yet full and generous, the wine’s silky texture leads to an opulent sustaining finish of black fruited incense. Best decanted in the near term, drink through 2024. Cabernet Sauvignon 65%, Syrah 35%. Made separately, these two wines were aged for a good year and a half in new and neutral oak barrels, respectively. The syrah, without the influence of new oak, preserved its pure, exuberant fruity personality and brings to the blend a broad mouth feel which adds vitality and density to the edgier fruit acidity of the mountain influenced Cabernet. This wine can be enjoyed through 2019. Syrah 52%, Mourvèdre 40%, Grenache 8%. Syrah and Mourvèdre dominate the blend giving the wine a distinctive Herb-de-Provence and black olive tinged red berry fruitiness of black and red plums, it is the personification of liquid tapanade. Aromas reminiscent of wild thyme and rosemary bleed into savory red meat flavors ending in a rousing long finish of the North African spice bazaar. Drink now through 2022. We are happy to announce that your 2017 Spring Signature Series wine club shipment will ship on Monday, March 13, 2017. The three bottle selection will include the following: (1) Cabernet Sauvignon Signature, Viking Estate Vineyard 2014 (1) Syrah Signature, Anna's Estate Vineyard 2014; and (1) Anna's Red Signature, Anna's Estate Vineyard 2014. PASO ROBLES (Jan. 23, 2017) – Adelaida Vineyards & Winery in Paso Robles just revealed their winter events lineup, including their kickoff event for 2017 Vintage Paso Weekend, headlined by celebrated wine journalist Elaine Brown on March 18. Adelaida Vineyards & Winery -- one of the iconic Paso Robles wineries located in West Paso Robles in the Adelaida District - produces grape varieties from France’s Rhône Valley, Burgundy and Bordeaux regions. 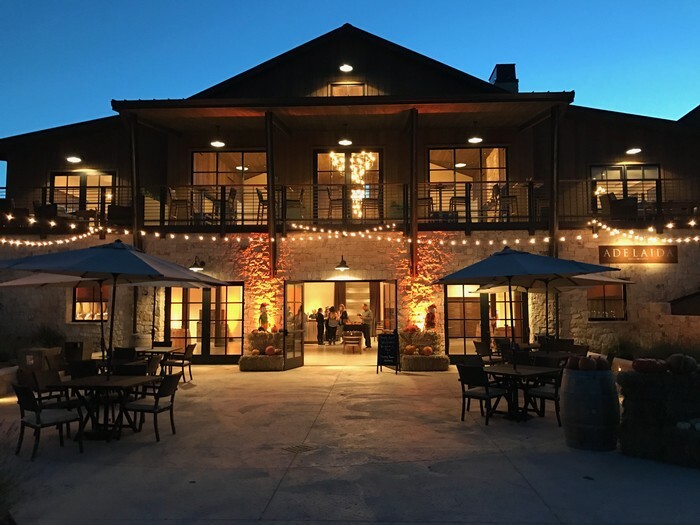 The winery will host a variety of educational seminars and tasting events at their estate, as well as appear in premier wine festivals across the country. Adelaida will be the featured winery at Il Cortile Ristorante’s Feb. 22 “Reverse Wine Dinner” series, where guests to choose their wine first, and Chef Santos then creates a special three-course meal around the wine selection. Winemaker Jeremy Weintraub will pour a diverse selection of impressive food-friendly wines at this installment of the nine-week series, which launched on Jan. 18 and features different wineries each week. Adelaida’s team will head to the opposite coast to pour signature wines at the Charleston Wine + Food Festival March 1-5. Although the Cannon Green Signature Dinner featuring Weintraub and Adelaida wines is sold out, guests can still taste them at the Culinary Village on March 3. Adelaida kicks off the eponymous region’s signature 2017 Vintage Paso Weekend on March 17, 10 a.m. to 5 p.m. with a special of perfectly cellared wines from their extensive library for just $10 per person (free for Club members). Guests can pair their favorite wines with seasonal lunch dishes from the winery’s menu. On March 18, Adelaida hosts what will likely be a standing (and sipping!) room only 2017 Vintage Paso Weekend seminar with renowned wine journalist Elaine Brown. The Wine & Spirits contributor will pair up with Winemaker Jeremy Weintraub for an interactive tasting 11 a.m. – 1 p.m. in Adelaida’s barrel room. Brown, who serves as the American Specialist for JancisRobinson.com and writes a columns for Wine Business Monthly and Wine & Spirits, will join Adelaida’s winemaker dinner that evening, catered by guest Chef Dakota Weiss. The seminar costs $75 per person ($60 for Club members) and includes wine and small bites, while winemaker dinner tickets cost $125 per person ($100 for Club members). Reservations for these high-profile events are required, please email events@adelaida.com or call 800.676.1232 Ext. 30. On March 19 the winery rounds out the weekend at The Decade Bar in their Barrel Room, featuring library wine tastings for $10 (free to Club members) and seasonal lunch items available for purchase. 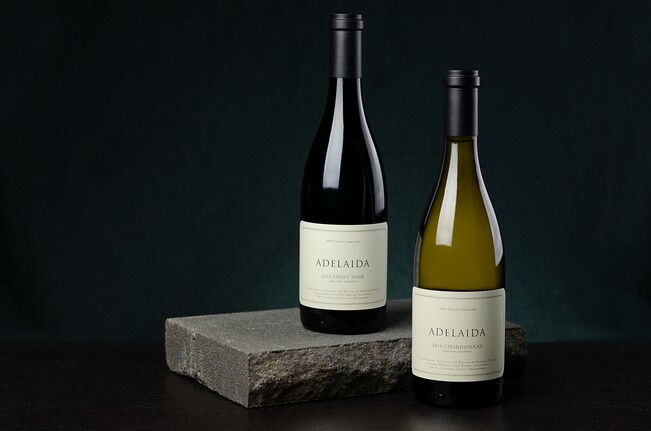 Adelaida Vineyards & Winery specializes using sustainable winegrowing practices and minimalist winemaking to produce ripe, well-balanced wines, specializing in estate-grown Pinot Noir, Zinfandel, Rhone Blends, and serious Cabernet Sauvignon from their Viking Vineyard. Adelaida offers daily wine tasting with a selection of cheese, crackers and spreads, which can be enjoyed in the tasting room or on the expansive deck. They also offer the Vineyard Tour, Taste & Tailgate experience – one of the best in town --by appointment, featuring wine tasting at the source, including a tailgate picnic of artisanal cheeses and charcuterie. The winery also offers private reserve tastings are and numerous events throughout the year. The tasting room is open 10 a.m. - 5 p.m. daily at 5805 Adelaida Road, Paso Robles, CA 93446. Located in the heart of the Adelaida District in west Paso Robles, Adelaida has deep roots in the region’s rich wine tradition. 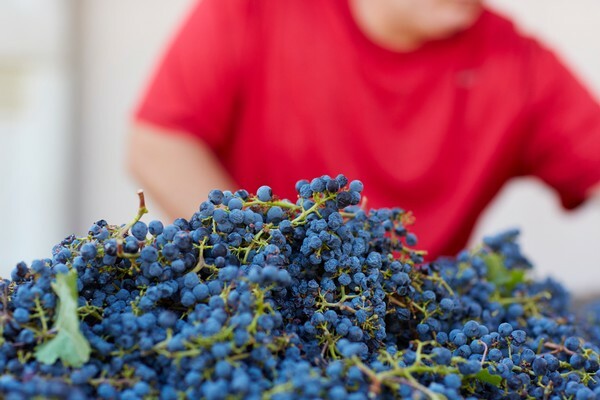 Adelaida has pioneered winemaking in the Paso Robles region since it was founded in 1981. 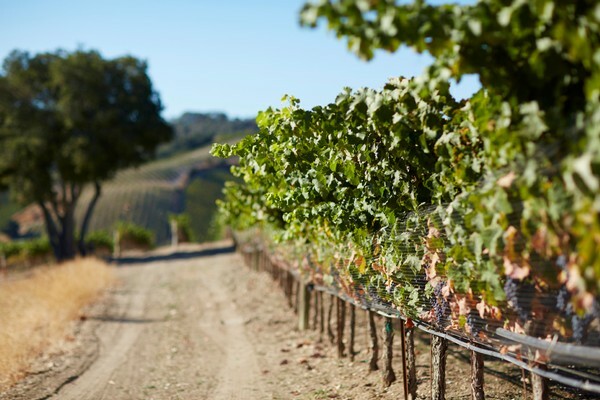 The winery’s estate includes the legendary HMR Vineyard plus four other distinct vineyards in the west hills of Paso Robles: Anna’s, Bobcat Crossing, Michael’s and Viking. 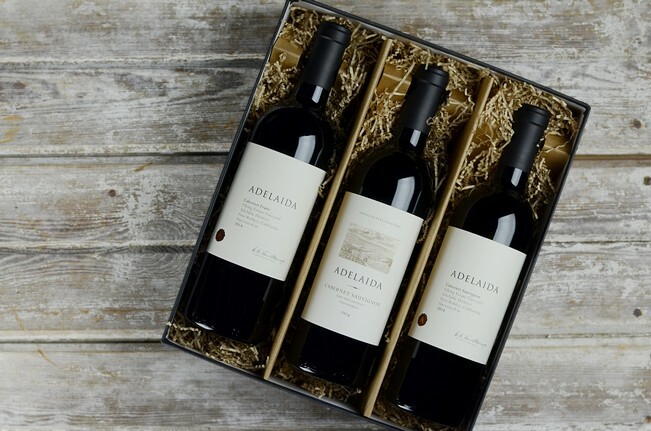 Adelaida farms all of its vineyards sustainably; its wines have consistently won widespread acclaim from top writers and wine competitions in America. 800-676-1232; www.adelaida.com. This sweet and savory recipe is perfect for an upcoming holiday gathering. What’s not to love about melted cheese and fresh walnuts in this supper simple appetizer? Pairs well with a crisp white wine or light-bodied red. 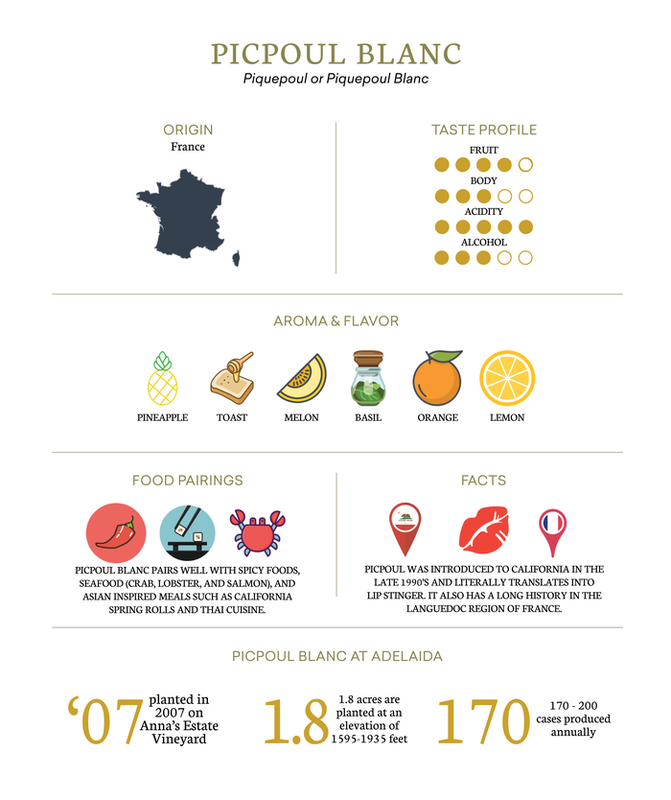 Adelaida Pairing Suggestion: Chardonnay, HMR Estate Vineyard 2015.